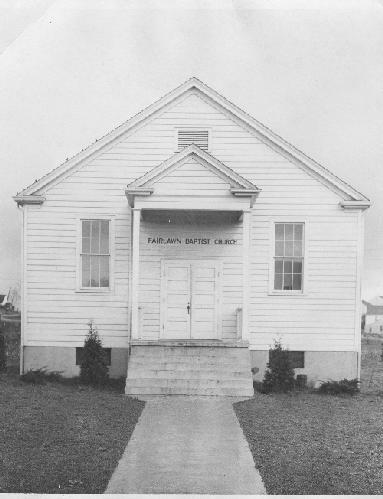 Fairlawn Baptist Church began as a mission church. In the early 1940's, the First Baptist Church of Radford recognized the need for a local assembly in the village of Fairlawn. We have never lost sight of the importance of missions, and consequently, have always had a strong missions program, supporting local, North American and International Missions with prayer, offerings and involvement. Over the years, the original structure was added onto many times. 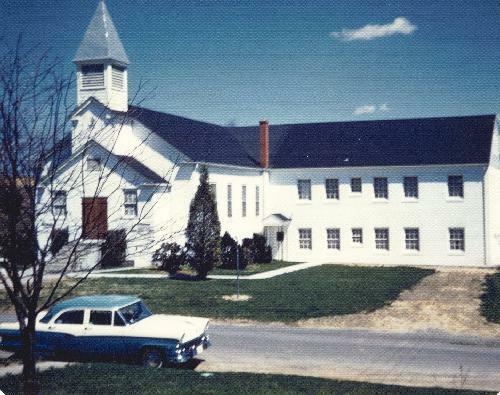 By the 1960's a steeple and foyer had been added, a three-story addition had been built on the back with a kitchen, additional Sunday School rooms and office space, An educational wing was added to the side of the building to facilitate our growing membership. Tragically, the old building was lost to fire on January 10, 1978. What a glorious day January 10, 1979 was as Fairlawn Baptist Church held its first sevice in our new building! October 31, 1993 was a very special day in the life of Fairlawn Baptist Church as we celebrated the debt retirement on our new building with a special "Note Burning Day Celebration." God's faithful people responded to His call and the debt was paid off six years early. In February 1994 Rev. Danny Collins was called to return to us for his second pastorate. Just two years later, on May 5, 1996 the church held a special morning celebratory service in honor of our Golden (50th) Anniversary. The fifty-year history of the church was divided into ten-year segments with several members sharing the special events of those periods. Former pastors and members were invited to attend the celebration. Pastor Danny concluded the service with a thematic message entitled, "He Will Guide Us Into The Future Years." In January 2000, the Property and Space Committee recognized the need for renovations to the buildings and grounds. The "new building" was all ready 21 years old! Recommendations were made to repave the parking lots, upgrade the office computers, renovate the vestibule, paint the interior, install emergency lighting, and to upgrade the musical instruments. The church family generously pledged over half of the estimated cost of these improvements the First Sunday of the fund drive! In September 2014, our pastor of 21 years, Rev. Danny W. Collins, retired. Dr. James Baucom agreed to serve as Pastor in the Interim until a search team could locate a full-time pastor. We were fortunate to receive a recommendation from Dr. Baucom's son for a possible candidate. The church was introduced to Rev. Gregory W. Harrell and unanimously decided to offer a call which he accepted and became the ninth pastor of FBC in September, 2015. As we look back at the past, and forward to the future, we are grateful to God for His supreme leadership. 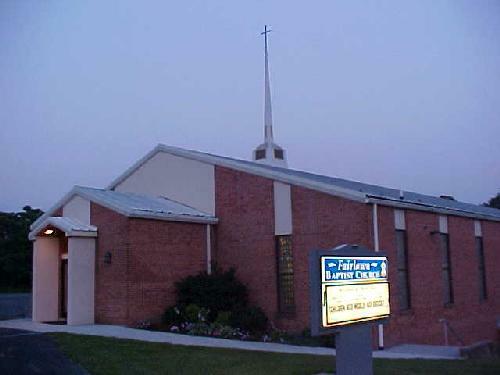 The New Millennium challenges Fairlawn Baptist Church to continue the great heritage of love for God and service to our fellow man that began in 1946 with the establishment of our local assembly. GOD IS SO GOOD! !